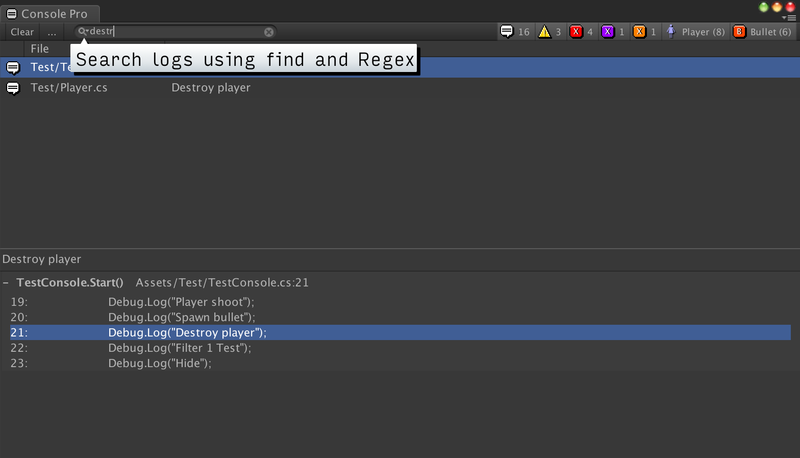 Use a search field to filter all entries by text, file name, class, GameObject name on the fly. Search and filter using Regular Expressions. 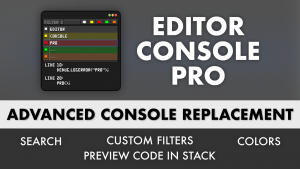 Create custom filter groups with their own colors and toggle buttons, instead of just the default Logs, Warnings, and Errors. 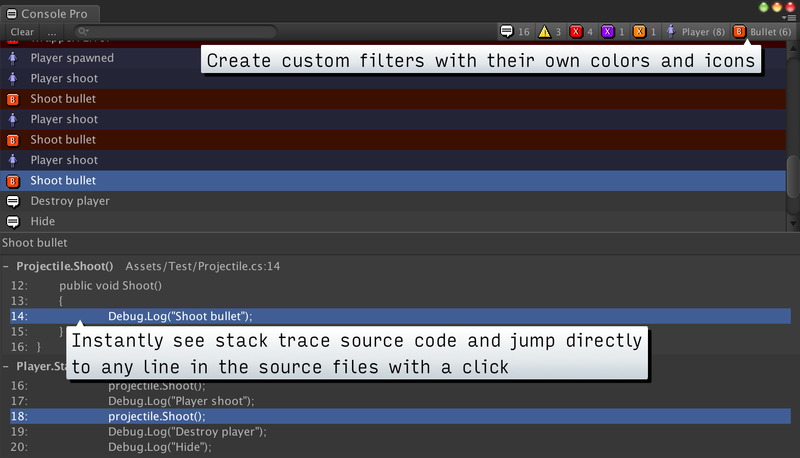 See the source code surrounding each method call in the stack, allowing you to see and jump to the code around the log. Open your code editor to any method or line in a log’s stack by clicking on it, rather than just to the Debug.Log call. 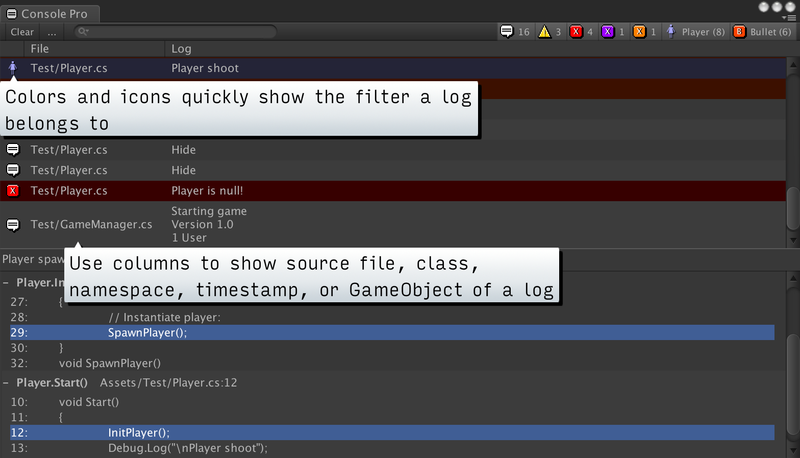 Easily see a log entry’s file name, namespace, GameObject name, and class in columns. Ignore logs you never want to see again. 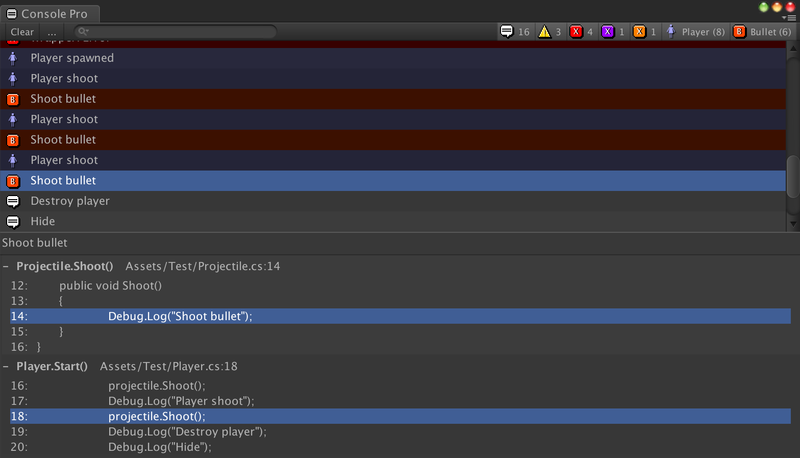 Ignore custom Debug.Log classes in the stack, so double clicking never takes you to the wrong code. Use remote logging to get logs and stacktraces off of a standalone build or a phone/tablet build. Colorize the entire log line so you can quickly see different log types. Use custom fonts and colors. 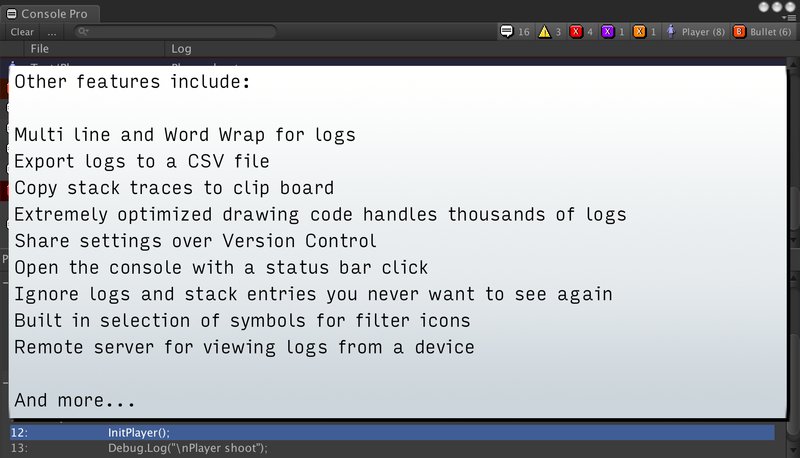 Copy full logs and stack traces to the clipboard with one click. 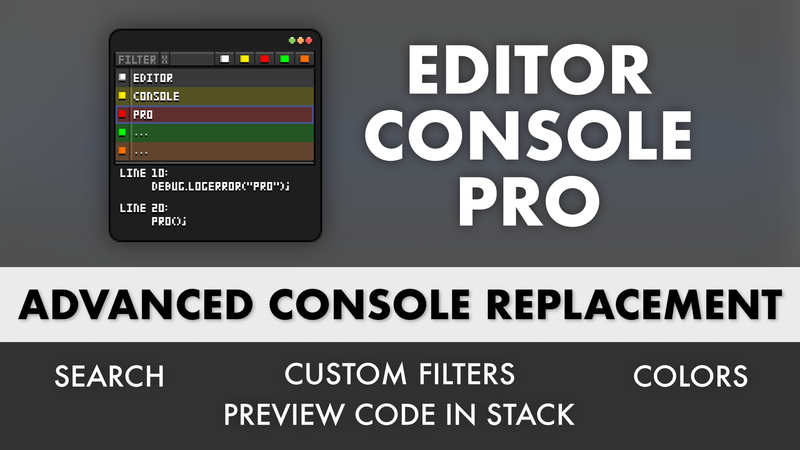 Export the entire console output to a txt file, including stack traces. Buy It From The Asset Store!